Natural disasters are a huge issue no matter where you live. The events can come seasonally or randomly and can completely change the environment in and around your home. Damages caused by natural disasters amount to billions of dollars annually. If you live in an area heavily affected by natural disasters, then it is important that you study up on their effects and your ability to mitigate the damages. For instance, if you live along the coast, then it is highly recommended that you check out the hurricane section of this guide and study up on how to best protect yourself and your family. If you live somewhere in the middle of the United States, then the thunderstorm or tornado section may be more suitable for your situation. The most important thing to do when anticipating a natural disaster is to remain calm and create a thorough plan of action. First of all, determine the most likely type of natural disaster you will be facing by studying the meteorological patterns of the local area. As stated above, different areas experience different disasters and you should prepare accordingly. You should also get to know the types of disasters that hit your area because sometimes you will not have time to prepare. Certain disasters, like tornados, form so quickly that you may only be able to deal with the aftermath of its passing. It is as important to prepare for the aftermath of a disaster as it is to get your home ready for its initial passing. The aftereffects of a natural disaster can range from mild to incredibly damaging and dangerous, and it can drastically from one area to the next. The worse the disaster, the more you need to watch out for hazards in and around your home. Downed power lines, flooding, and debris are common after a serious disaster. But the damage may also affect the inside of your home as well. Such massive upheaval in the environment around your home could mean an increased risk of disease or pest infestations. In a time where emergency services can be hampered or disabled entirely, you should take every precaution possible. Bear in mind that the risk of infectious diseases are not increased by a natural disaster. This is actually a misconception the risk of disease is instead heightened by other factors that could be avoided with proper planning and protocol. But there are other issues, like the spread of harmful fungi, after a disaster that could affect a household for months to come. Mix it well and wait 30 minutes before drinking. Often an issue for northeastern states, this disaster is characterized as a severe snowstorm with winds that clock in at over 35 miles per hour and goes on for three hours or more. Common effects of your average blizzard include visibility lowering to a point where nothing can be seen within one-quarter of a mile or less. When visibility gets low enough to completely obscure visibility, it is referred to as “white out” conditions. Temperatures will also begin to dip into dangerously low territories, with severe cases of the disaster reaching as low as -12°C or lower. A blizzard is incredibly dangerous and actively leads to conditions that cause entire areas to shut down until the weather conditions become less hazardous. Air systems should be checked regularly, but an extra examination before a blizzard is advisable. Dirty air filters can cause issues of dryness and stagnation inside of a home that could lead to breathing problems over time. This is an issue for your home normally, but the cold conditions often worsen the problem. If a blizzard lasts more than a day or so, it’s essential for fresh air to be brought into the home. Air filters will prevent snow from entering an HVAC system and causing serious problems for a home as well as clean up the air on its way inside your system. In order to protect your home and your family against the effects of a blizzard, make sure to begin preparations ahead of time.When a blizzard is announced, there is seldom enough time to get enough supplies for your home in advance of its arrival. Get notifications from your local warning system to receive a heads up in case of any incoming blizzards. The system will advise you of the progress of the blizzard and its aftereffects. Have de-icing salt and sprinkle it around your home before the storm. Focus on covering the essential areas, like the path leading up to your home and any sidewalks. The salt is capable of warming the snow and melting it, keeping important areas around your home clear. Be sure to buy coarse sand, as well. Sprinkled over patches of ice, it can increase traction and prevent you from slipping. Be wary of continued snowfall and only apply the sand on ice since it is ineffective under any new snow. Store the sand somewhere dry and indoors so that it does not freeze before you have a chance to use it. Prepare your snowblower. A blizzard can result in several feet of snow accumulating outside of a home and is capable of easily blanketing an entire area. Purchase any extra parts you may need in case of a break down and extra gas to prepare for any amount of snow that falls. Place the snow blower by your home’s primary exit and be sure to cover it with a tarp for protection. Have a snow shovel ready. Snowfall piles up quickly and having a shovel available can be invaluable in an emergency. The type of shovel you buy is up to personal preference, but consider using non-stick cooking spray on the shovel to ensure that the snow slides off during shoveling. Check and clean your gutters. Ideally, both the gutters should be cleaned out and properly maintained even without a blizzard warning. However, you should clean the gutters throughout your home top to bottom of any leaves to prevent ice damming. Without a way to flow off easily, melting snow on top of your home could cause problems that are otherwise easily avoidable with clear gutters. Get ready for the snow melt. After the blizzard ends, you may need to deal with the excess water that comes when the area around your home begins to warm up. Check your sump pump and test it out to make sure that it is working at maximum efficiency. You should also make sure to handle insulation, caulking, and weather stripping so that no water can leak inside. Stockpile ahead of time so that you do not have a shortage if the blizzard lasts longer than expected. Multi-gallon jugs are preferred, but in a pinch you should fill up buckets and bathtubs as well and store them in the basement. The water can primarily be used for drinking but it fulfils a variety of other needs as well. Such as when you need to force flush a toilet or need to immediately wash something. When it occurs, go to a warm room and soak the area in warm water. Do not massage or use a heating pad on the afflicted area. Signs include confusion, fumbling hands, memory loss, slurred speech, exhaustion, extensive shivering, and drowsiness. When it occurs, got to a warm room and stay dry as you wrap up in warm clothing or blankets. Prepare for power outages, but keep generators outside your home and away from any windows. Indoor generators can fill a home with poisonous carbon monoxide. Test your smoke alarms and carbon monoxide monitors just in case. Ideally, you should stay somewhere indoors and dress warmly for an upcoming blizzard. If you are outside when a blizzard occurs, find immediate shelter or stay inside your car. Do not venture outside of shelter or your vehicle, but if you must then wear warm clothes and watch for signs of frostbite or hypothermia. Fully stock your car with provisions and gas. Check on your neighbors if you can. The elderly, the young and the sick are extremely susceptible to the effects of a blizzard. Bring any pets or animals indoors or at least into dry, protective shelter. Buy all the supplies you need to keep your pets well fed and clean. Make sure to have plenty of activities ready to have with your pet while indoors. Prepare ahead of time for a power outage. This affects pets in need of lamps or other external heating sources such as reptiles or fish. Have clothes and boots ready for your dogs. Make sure all your pets have identification ready or are at the very least microchipped. Keep all dogs on a leash and watch out to make sure they do not ingest and snow-melting salt. Be sure your dogs to not walk on the salt either, it can be painful to their feet. Stock up on medication (at least 7 days worth) and any other medical supplies you may require: catheters, syringes, et cetera. Keep emergency contact information handy. Label any equipment you have such as wheelchairs, canes, and walkers with your name and contact information. Check your shelter, and if the facilities are inadequate, confer with your family about alternate accommodations. Having an out-of-town contact can be invaluable if local lines are down. Be mindful of service pets and know that emergency public shelters often don’t accept them. Look up any relatives or pet hotels that may be able to take care of your animals in a time of crisis. Stay out of the cold, find shelter immediately and check for any injuries caused by the weather. For additional blizzard survival trips, check AccuWeather’s Blizzard Survival Guide. Droughts are a natural disaster that often occur in midwestern or southern states of the U.S, but they are capable of occurring anywhere. Unlike other disasters, a drought may not simply be a weather event that passes over, but a climate pattern that may need to endure for weeks or months. They are the result of below-average precipitation and occur in as little as 15 days before fully affecting an area. The water shortages extend to ground, surface, or even atmospheric sources in an area and have a devastating impact on more agriculturally based regions. Some areas are used to droughts and have adapted as such. But some area may not be so adapted and you may need to face the consequences of an area's ecosystem feeling the effects of the disaster. There are actually four main kinds of drought: meteorological, agricultural, hydrological, and socioeconomic. In any case, less water means that you will need to adjust to the new climate and plan accordingly. Home’s that rely on local water sources may suffer cases of dehydration, malnutrition, and disease. Areas reliant on hydroelectric power can experience power issues or even full on outages. Wildfires are common in a dry environment and low levels of water can even lead to a rise in water toxicity. Droughts are often long lasting, so plan for some large changes to your lifestyle in order to get through this disaster effectively. When a drought occurs, it dries up the soil in an area and the top layer becomes less compact and susceptible to wind changes. The air can very quickly become full of dust and debris that make it very difficult to breathe. Air filters are designed to prevent these problems from occurring with the air inside of your home. 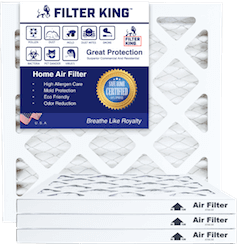 The filters are constructed of a special weave that allow fresh air to come in while keeping the dirt and debris out of an air system. As long as you maintain your air systems by regularly replacing the filters, the air inside your home should be fine. The key to handling a drought is being prepared and conserving water whenever you can. With a few easy adjustments to your everyday water usage, you should be able to handle the disaster much more easily. Look into any restrictions implemented by the local government on water usage. Check all your plumbing for leaks to avoid wasting any water. If any leaks are found, contact a plumber immediately and have the problem handled. Insulate your water pipes to make sure that they last longer. Re-use water instead of pouring it out. You could use the water for plants or your garden. Change the different systems around your home to better conserve water. Replace dripping faucets, install flow restrictors and water softening systems, and generally pick water-friendly appliances and fixtures. Consider using water displacement to lower the water required for a toilet to flush. Water displacement is an easy process. Place a plastic jug of water into a toilet water tank to displace the flow. Make sure the jug is out of the way of parts necessary for the system to function. Afterwords, every flush will require less water, helping you conserve. Avoid using a kitchen sink disposal and instead consider creating a compost pile or simply placing old food in the garbage. Check the plant life around your home. Native plants used to droughts are capable of surviving extended periods of dry conditions, but weeds may contend for the moisture left in the ground. Use mulch to moisturize the ground and prevent weeds from spreading around your home during a drought. Try rainwater harvesting and avoiding the use of any ornaments around a home that actively use water instead of recycling it. For sprinkler systems, position them so that they they cover as more landscape and shrubbery than pavement. If a sprinkler is misting, then there is a pressure problem that is affecting the system that needs to be fixed. When mowing your lawn, aim to keep at least three inches of grass. This ideal because grass this tall positively affects the ground root system while also allowing better retention of moisture. Look into drought-resistant lawn seeds and avoid over-fertilizing your lawn. Too much fertilizer means an increased need for water. If you have a pool, keep them covered to avoid a problem with evaporation. Avoid flushing the toilet whenever necessary. Any waste that can be thrown in the garbage, should be disposed in that manner. Showers, not baths, are recommended. If the drought is really bad, then turn the water on to get wet and lather, then again to rinse. Do not let water run when in the bathroom. Turn it off whenever you shave, brush your teeth, or after washing your face. When washing your clothes, wait until the washer is fully loaded to wash as many as possible. Use the “light wash” features of your dishwasher and only turn it on when the washer is fully loaded. Defrost overnight instead of using warm water to do it. If you do use warm water, reuse it for other purposes. If a drought worsens, it is best to preserve water for trees and shrubs instead of grass. You should also water in short sessions in order to give the lawn time to absorb the water. Keep your pets indoors, especially dogs. Never leave your animal inside a hot vehicle. Avoid hot pavement and walk your pets on grass whenever possible. Heatstroke is a common affliction during a drought due to high temperatures and little water. Limit your time outside and be wary of how long you stay in the sun. Stay hydrated, maintain the water conservation effort but be sure that you do not lack water yourself. Ready.gov offers additional drought survival information. An earthquake is a sudden and rapid shaking of the earth that varies in its effects and destructive after effects. They can happen anywhere, although Alaska, California, and Mississippi see the most tectonic movement, normally. Depending on the rating of the earthquake, they can range from mild shakes to earth-shattering events. The effects of one of these disasters can lead to fires, damaged roads, avalanches, landslides, tsunamis, and structural insecurities. Earthquakes can come without warning, which means you have little to no time to prepare once one actually starts.If it does happen to you, stop whatever you are doing, drop to the ground, cover yourself, and wait it out. Do not move too much, meaning that if you are in a vehicle then you stay in that vehicle or if you in bed then stay in bed. Stay wherever you are with the exception of staying in a doorway. You are better off preparing ahead of time so that you are better equipped to handle the disaster and its effects on an area. Earthquakes have a tendency to kick up a lot of dust and debris during the cataclysmic event, they can also seriously damage your home. During repairs, make sure your HVAC unit is working properly and the air filters are not damaged or loose. You may have enough problems without having to worry about the air you breathe inside your home. Air filters prevent the dust and debris floating around from entering your air system, so it is important to make sure they are working properly. New ones can be easily bought and they save you several headaches in the long run. Consider an earthquake insurance policy if the area you live in is prone to the disaster. Practice your earthquake drills ahead of time so you get the hang of what to do. The normal procedure involves dropping to the ground and covering your head and neck with your arms. If you need to move to safety, crawl to cover and hold on to any sturdy fixtures nearby. Secure household items and place any heavy, breakable objects on low shelves. Keep a supply kit handy. Having a whistle, a flashlight, non-perishable food, water, a fire extinguisher, extra batteries, and charging devices handy can be invaluable. Be sure to keep an extra supply of required medicine. After the earthquake stops, be ready for aftershocks that can still cause damage. Do not enter any damaged buildings and if you in one leave as soon as possible. In case of entrapment, do not yell and instead cover your mouth. Instead find a different way to call out for help, like texting, banging a pipe or using a whistle. Minimize phone calls so you have battery for when there is an emergency, but be mindful of any local news or emergency messages. Above all, be careful post-disaster around buildings and any damage. Wear protective clothing and avoid any debris that looks to be too heavy for you to pick up. First rule, do not restrain your pet by force. They have highly instinctive reactions and restricting them will only endanger you both. Following the first rule, do not go looking for your pet or attempt to grab them during an earthquake. The only exception is when your pet is within reach and fine with you grabbing them. If outside, drop to the ground as you should and crawl over to a nearby open area. You need to hold onto your pet’s leash but if it slips away then absolutely do not chase after it. Your pet will find the nearest shelter on its own, from there you will to rely on identification or your pet’s microchip. Once you are in cover, wait out the earthquake. If you are holding your pet and it struggles, let them go. They may attempt to scratch or bite their way out of hold which may endanger you further. Pets and carriers should be left there, it is safer than being outside. If your pet is complacent and willing to be protected, curl up around them in a fetal position while doing what you can to protect your arms and neck. Once the shaking stops, make sure to put a leash on your pet or put them on a carrier so they do not run off and injure themselves on any debris. If your pet ran to another part of your home, let them stay in their hiding place until they feel safe enough to leave on their own. As long as they are not in any immediate danger, it should be fine. Remember, aftershocks are common, so make sure your pet has identification on at all times. Keep a leash handy too. Same as everyone else, practice the drop and cover move so you can go into it at a moments notice. Stay where you are, at most crawl to safety or the nearest fixture. Have any necessary equipment like hearing aids or walkers nearby where you can find them after the shaking stops. If you are in bed, do not get out, it is more dangerous. The CDC has a recommended list of emergency supplies for earthquake preparedness. Flooding is a serious disaster that causes billions in damages annually and can occur anywhere in the U.S. The worst part is, they can occur for several reasons and have the ability to inundate entire cities if they are bad enough. When normally dry land is suddenly submerged in water, whether it is within a day or even up to months, that is a flood. Flowing water may not sound like such a big deal, but only a few inches of water is needed to start carrying away objects or people. The waters naturally flow from high areas to lower ones so particularly inclined areas are in serious danger of rushing water causing heavy damages. Flooding can be the result of several different factors which is why most of the country is capable of facing this particular disaster. Heavy rains, river overflow, melting ice or snow, and hurricanes are all capable of causing intense flooding. You may face flash floods which only last a few hours but are usually the most destructive, rapid onset floods that have more build up but stay around longer, or slow onset floods that require much more build up and can affect the largest area. When a flood occurs, you may need to check your home afterwards for any sort of mold development. With so much water causing a rise in humidity, it becomes the perfect environment for mold and fungi to flourish. The air filters in an HVAC system can prevent spores and other nasty particles from entering a system, but they cannot keep out humidity that may encourage spores that have entered via other means from growing. You should also see about replacing your air filter regularly, you will not want any spores they have captured from growing while trapped in their tight, mesh weaving. Floods are the most common natural disaster in the world, thus most places have a plan set for when such an event occurs. Be sure to listen to any newscasts or emergency warnings ready to provide instruction. You should also learn your town or buildings plans for evacuations, shelter, or flash floods. Since floods can develop so quickly, you should have a plan ready just in case you are caught up in one. First of all, find shelter immediately. Drop whatever you are doing and find somewhere high and dry to wait out the flood. Do not attempt to walk, run,drive or swim through the rushing waters. The current may be stronger than it looks and it only takes six inches of water to knock you off-balance. A car can be washed away by only a foot of water and a strong current. Stay off any bridges, especially if they are above any fast-moving water. It helps to waterproof important documents or have digitally encrypted versions online. Make sure your home is prepared in case of a flood. Keep your valuables on shelves or other high places, heck or install a sump pump in the basement, make sure the drains or gutters of your home are not cluttered, and see into installing any check valves. If trapped, do not panic and seek higher ground. If you are in your home, then head up but avoid the attic and go to the roof in an emergency. If you are in your car, remain in it. But if the water gets too high, then exit onto your roof. Even after the flood is over, avoid driving until given the all clear by authorities. Do not wade through flood waters, there may be dangerous animals or debris. The water can also be contaminated. Be wary of snakes or other animals that may have come with the water. Wear heavy clothing, gloves and boots during cleanup to avoid injury. Be careful around anything electrical, turn off the electricity to avoid shocks. If you are using a generator, keep it outdoors and away form your windows to prevent carbon monoxide poisoning. Include your pets in any evacuation plans you have. Be sure to check if local shelters accomodate for pets and also include their needs in your disaster kit. Make sure your pet has their identification with them at all times during a flood. A pet carrier can be invaluable, be sure to purchase one and mark it with all the essential info including your contact information. Make sure your pet is comfortable with its carrier ahead of time and keep a leash handy. Make sure the room or area you choose to stay in has no plants or chemicals dangerous to animals. If there are any spaces where a frightened pet can hide, be sure to close them off. If necessary, contact an establishment capable of caring for your pet during a disaster if you cannot go to your local shelter with them. Make sure your pets do not interact with any wildlife or stray animals after a flood. Do not let your pet drink any flood water. If you are separated from your pet, inform the nearest authority. Be sure to contact your local animal control to make sure they know about your pet and call your microchip company to update your pets information. If flood waters have entered your home, seek higher ground, but stay away from your attic. Head to the roof, but only in an emergency. Take any necessary equipment with you, but be careful around any electronics and avoid them if wet. For additional information of flood safety, check out ready.gov’s information on flood survival. Hurricanes, or tropical cyclones, are incredibly destructive storms that affect coastal areas with winds clocking in at speeds reaching at least 74 MPH. Rated on a scale of 1- 5, even a level 1 hurricane can have a severe impact on an area. If you are facing a level 5 hurricane, then it is absolutely essential that you prepare for the worst and organize your plans ahead of time. Hurricanes bring gale force winds, heavy rains that can lead to flooding, and lightning that can damage and areas power grid. Luckily, many hurricanes are capable of being detected before they reach the coast and can thus be prepared for. However, the aftereffects of a hurricane can last weeks or even months if the level is high enough, making preparations essential. Hurricanes have an incredibly damaging impact on an area, which means that they are capable of causing all manner of air problems. The debris in the air an be sucked in by your HVAC system while the humidity can encourage the growth of spores. If the disaster is bad enough, your entire air system may be damaged and require extensive repairs. Make sure your air filters are secure so that your systems tremain clean and clear of any dirt or debris that may have kicked up into the air after the storm. During the cleanup, it may be necessary to replace the filters a few times if they continue to be covered in the particles they are blocking out of your home. The only good thing about a hurricane is the slow buildup, so take the time you have to prepare accordingly. Coastal or mobile home owners may need to evacuate to the nearest shelter. Take note of any shelters near your home. Purchase non-perishable foods and any extra supplies on hand. It could be several weeks before stores open again. Look into insurance claims and make sure to take inventory of all your possessions and properties in case you need to make some claims after the storm. Prepare your home for the incoming storm. Put up shutters over any windows or glass doors. Bring any potted plants or decorations inside. Trim nearby trees or shrubbery. Seal outside openings with caulk. Create a sand barrier to halt flooding. Build a kit and keep it stocked to make sure your pet stays well fed and healthy during a crisis. Make sure your pet’s microchips and tags are up to date. During an evacuation, make sure your pet can be accommodated or find separate accommodations for them. Stock up on prescription drugs ahead of time. Pharmacies may become unavailable after the storm for several weeks. Follow the instructions of local authorities an evacuate when required. Keep identification handy as well as any emergency contacts you need to call after the storm passes. Refer to the National Hurricane Center for additional information about tropical cyclones. A tornado is a dangerous storm that usually occur in the center states of the U.S, where about 1,200 occur annually. Certain areas see tornadoes more often than others, but they are always dangerous and you should always be prepared for them. They are violent storms that clock in at speeds around 200 MPH and are capable of lifting homes and cars from the ground if they come near enough. Some may even be invisible until they start lifting dirt, debris, and condensation. Always be aware of when there are tornado warnings incoming and seek shelter as soon as you can. Like most storms, tornadoes cause a flurry of wind to send dust and debris swirling through the air. These particles can heavily impact the air you breathe inside of a home which is why air filters keep the debris out and bring clean air in. be sure to check your air filters before and after a tornado to make sure they are not damaged or too dirty. Dirty Air filters block airflow and can lead to dryness and stagnation inside of a home, which is bad for resident health. If you see a warning come in, find shelter immediately. The ideal shelter is a sturdy building nearby that can withstand the wind. Go to the lowest level of a building, preferably a basement, cellar, or safe room. Flat, low locations are bets. Stay away from bridges or overpasses. If there’s no basement, find the room on the ground floor with the least amount of windows, doors, and outside walls. Cover your neck and your head from any debris. You should find something to protect yourself with, like a blanket or a piece of furniture. Stay away from powerlines that have fallen or have been damaged. The same goes for damaged buildings. Be mindful of any phone calls you make, local lines can go down after a bad tornado strike. Wear protective clothing during cleanup to avoid injury. Make sure your pet is always wearing its identification and that its microchip is updated. Include your pet in any plans you make for a tornado strike. If you can, put your pet in its carrier and cover it with a blanket. Do not let your pet outside after the tornado hits until the authorities tell you it is alright outside. Keep your pets away from any stray animals or wildlife that may have been displaced during the storm. If your pet escapes, check in with local animal control. Stay away from windows or doors and find an interior room to stay in. Follow any instructions given by authorities, including evacuation orders if needed. Head to lowest point of your home, ideally a basement or cellar. Have any medicine or tools you need nearby in case of emergency. National Geographic has an informative page about tornadoes. While each category of natural disasters has its own unique set of challenges, there are common preparation techniques that can help you if you’re in an area where it’s possible to be hit by two or more disasters. For instance, if you live in California, you may be vulnerable to droughts, fires, and earthquakes. Building and maintaining a disaster preparedness kit can keep your family and home safe throughout any number of emergency situations. Floridians often face hurricanes, tornadoes, and floods in the same year. The ideal time to start preparing is before a disaster is announced. And remember to make your physical safety your main priority.